A well presented two bedroom property located in the heart of Swindon Town Centre. Within walking distance to the many shops, eateries and the Railway Station, this property is of the ideal location. 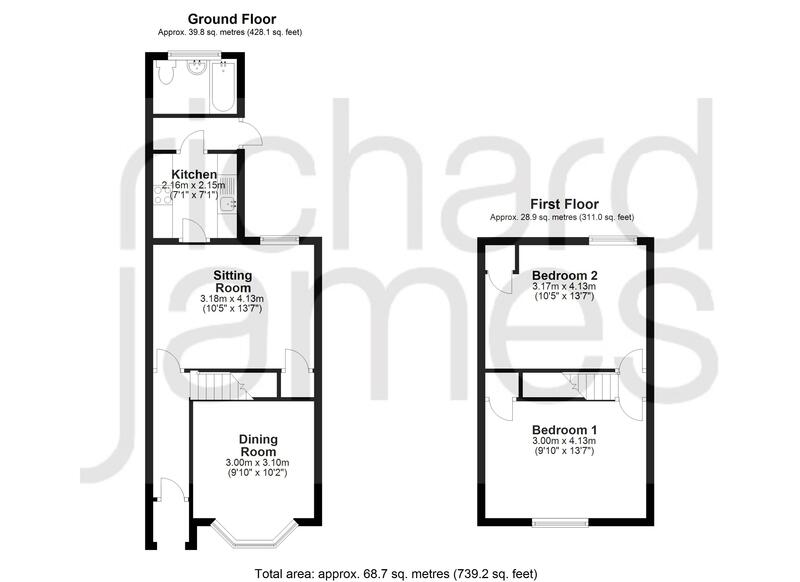 Comprising; entrance hall, dining room, sitting room, refitted kitchen and refitted bathroom. There are two excellent size double bedrooms to the first floor. The garden to the rear is low maintenance and benefits from a garage, ideal for storage. An internal viewing is highly advised by the vendors sole agents Richard James.